Three baby dragons have crawled out of the nest (so far), as their Mother watches over them. One is about to bite her tail! She holds a crystal in one paw, her wings are encrusted with crystals, and they're scattered all around the nest. 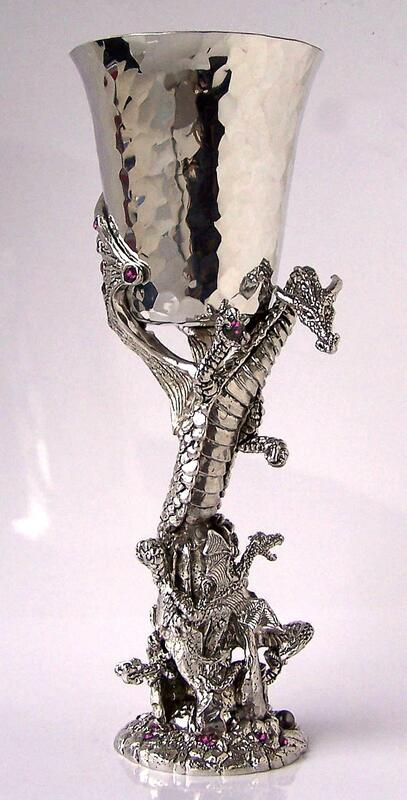 We make this Limited Edition Goblet by hand from lead-free pewter. It holds 10 oz.